Tutor Mentor Institute, LLC: Impact. Nudging the Network. Takes Time. Impact. Nudging the Network. Takes Time. I created this graphic in 2011 to illustrate how my daily actions intend to influence actions of others. The challenge is, that unless others tell me what they have done with what I share, I can't tell you what impact I've had. And while I've multiple pages of "thank you" notes, these don't share very easily. So here's an example of a recent set of interactions. On January 20, I posted a blog article that included a set of maps, under the heading of "How I'll Honor MLKing Jr Holiday". 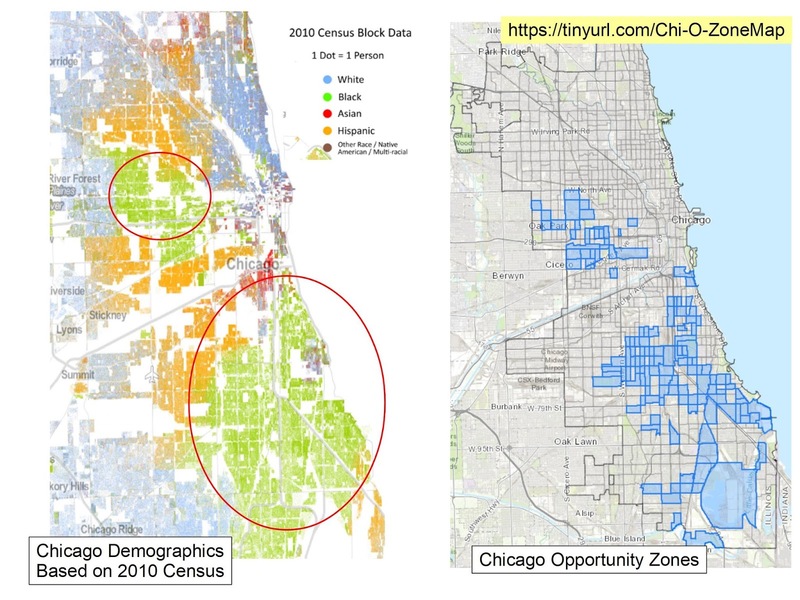 The maps at the left show Opportunity Zone areas on the right, and demographics of Chicago on the left. 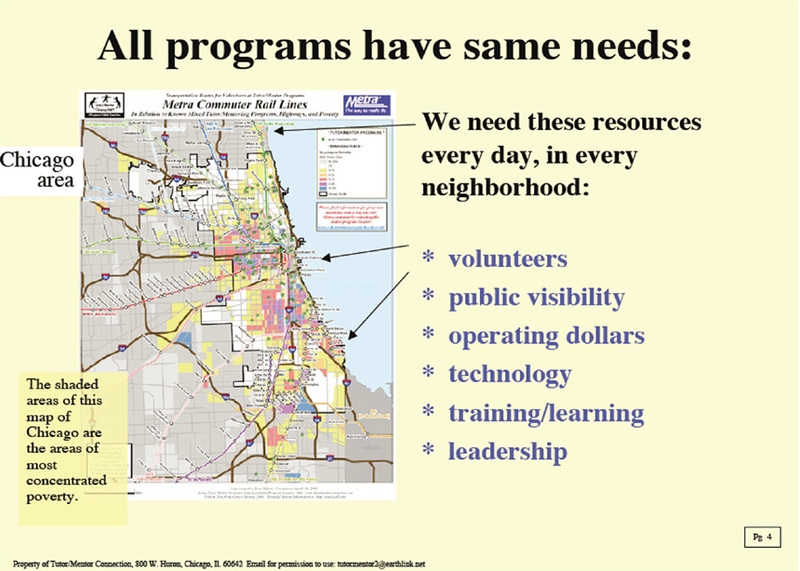 Other maps showed indicators of need for investment in these areas, based on violence, poverty and health disparities. 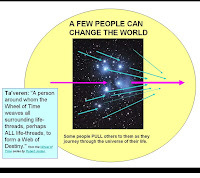 Then, when I opened my Twitter feed the next day, Jan 21, I saw this post from Terry Elliott, a college professor in Kentucky, whom I've gotten to know over the past five years through the Connected Learning on-line community. I have written often about the #clmooc community because of the way they connect and share ideas, and because I feel it's a model of connected learning that the non-school ecosystem could borrow. 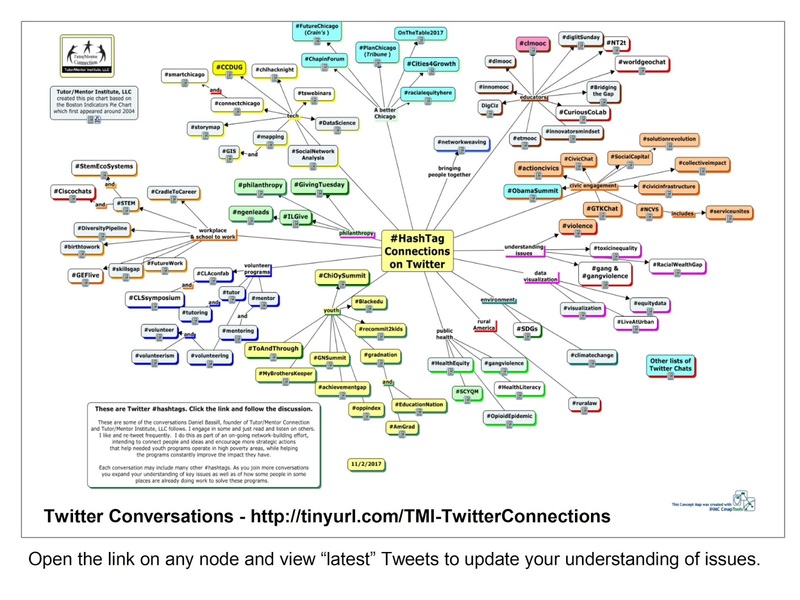 Here's a reflection on my past connections with #clmooc that I posted at the end of December 2018. 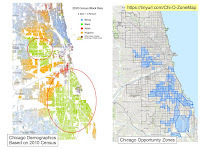 In Terry's Tweet he said "If you are looking for a way to honor MLK day, read this post from a man who has dedicated his adult life to working with and for Chicago youth" read this article and add your comments using the Hypothes.is annotation tool. Using on-line annotation is just the same as using a yellow highlighter to mark up a book you are reading. I do that all the time. And I write comments in the margins. Unfortunately, no one else sees what I've deemed important via my highlights and comments. Using the on-line annotation tool, multiple people can read and comment on the same article. The margins become a second, even a third, conversation. 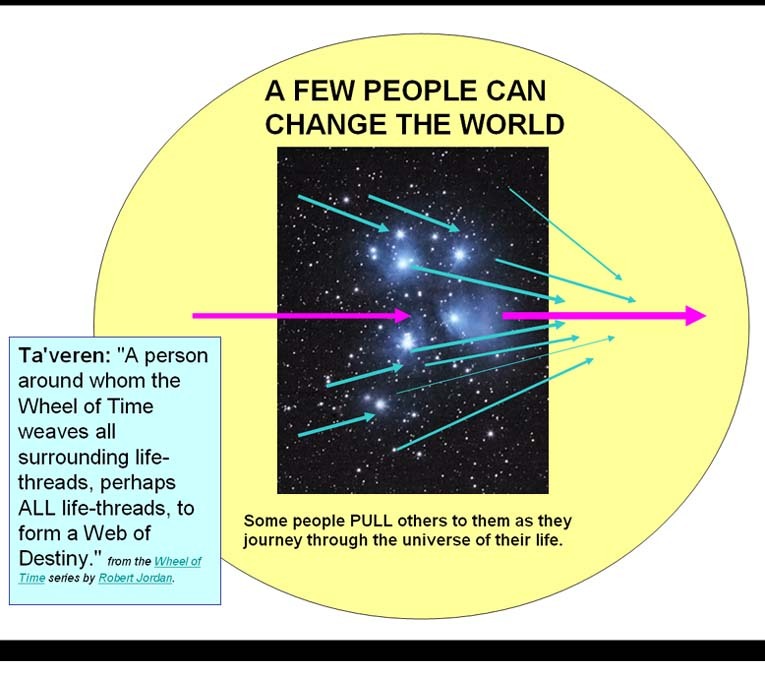 In this graphic I show how Terry embedded a video, then Kevin Hodgson, a teacher from Western Massachusetts, who is also a #clmooc mainstay, added a graphic from my collection, saying "This sounds like your mission statement, Daniel". 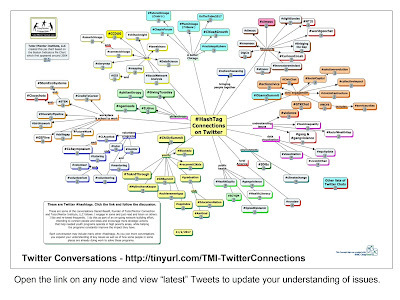 If you follow Kevin and Terry and others from the #clmooc network on Twitter, and read their blogs, you'll see a constant exchange of ideas, moving from one platform to another. Their interaction in this annotation is just one of many that I've followed and joined. I've built a list of blogs I follow using Inoreader, which I learned about from Terry. You can see the CLMOOC list and others in on this page. At the right is a screen shot of a blog article written by Sheri Edwards, another #clmooc educator, who is a retired teacher living in Washington State. The rest of her article describes her search, some dead ends, and shares links to information she found. She then joined in on the annotation of my article and shared what she was doing and what she was learning, in the margins. Sheri did exactly what I hope many, many other people do. She started building an information base, focusing on a geographic area she was interested in. And she used Twitter to share what she was doing. Thus, I have a piece of evidence to show impact of the work I've been doing. Then, Wendy Taleo, an educator from Australia posted this Tweet, telling of her involvement with the Smith Family mentoring program in Australia. I did not know any of these people in 2013 when I joined the first Connected Learning MOOC. It has taken a consistent effort on my part to build these relationships, and to apply some of the ideas I was learning in the work I've been doing. Sheri, Kevin, Terry and a few others from #clmooc and my Twitter network made financial contributions to support Tutor/Mentor Institute, LLC last year, which to me is another piece of evidence that shows I'm having some impact. Often in recent months and past years people have questioned the impact of the Tutor/Mentor Connection (T/MC), formed in 1993, and Tutor/Mentor Institute, LLC, formed in 2011. It's a difficult question to answer. First, that's because Chicago is a huge city, with many different power bases. We started the T/MC in 1993 with no money, but an understanding of the need for well-organized non-school tutor/mentor programs to be located in every high poverty area of Chicago, and a need to draw more consistent flows of attention and resources to every program in order for this to happen. Second, I've never had much money to do this, especially since we were also operating our own growing tutor/mentor program serving teens grade 7 to 12, living in Cabrini Green and other high poverty areas of Chicago. Since 2011 when I formed the Tutor/Mentor Institute, LLC to keep the T/MC alive after the strategy was discontinued by the Board of the non profit I had been leading, I've had almost no money and have covered expenses from my own savings. Finally, others have continued to enter the space where the T/MC was operating. Instead of saying "We see what you're trying to do; can we help you?" many have ignored that the T/MC even existed and have created their own organization and strategy to help kids succeed in school, but never with all the components that the T/MC put into it's own on-going strategy. Thus, I've used what we had available (talent, dollars, ideas, etc) in any given year to try to collect, organize and share information, then motivate more people to use that information to support various tutor/mentor programs in Chicago, including our own. This strategy page shows four actions that I've repeated over and over, for 25 years. I created a Google doc a few weeks ago to show a few more of these interactions. I hope you'll take a look. If you're interested in learning more, here's a PDF summarizing work done from 2000 to 2010 when I was leading the Cabrini Connections youth program as well as the Tutor/Mentor Connection. Then, I invite you to add your own contribution to support my effort, or reach out to explore how you could make a major commitment and help rebuild and re-energize all of the work that I've been doing for 25 years. If more people use these ideas, and more people provide resources to do the work, we can help youth in more places have mentor-rich support systems that help them move through school and into adult lives. That's a huge, huge challenge, but worth the effort. Just following the positive example you, Terry Elliott and others set with your own blogs.